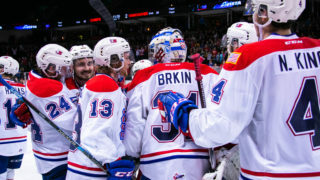 The Spokane Chiefs will welcome forward Jack Finley back to the team this week following his experience playing for Canada Black at the 2018 U17 Hockey Challenge in New Brunswick. He is expected to be available to play in the Chiefs’ game Tuesday at Seattle. 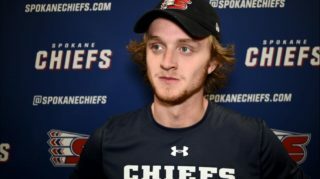 Finley, a 16-year-old from Kelowna, B.C., was the Chiefs’ first round (6th overall) pick in the 2017 WHL Bantam Draft. The towering 6-foot-5 forward picked up two assists in five games as Canada Black earned a fifth-place finish. The event wasn’t Finley’s first experience in a big-time tournament. 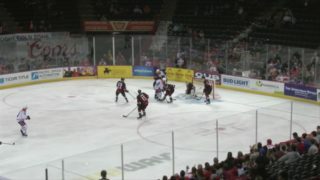 He helped Team British Columbia secure a gold medal in the 2017 WHL Cup, scoring two goals in five games. Finley has six points through 14 games played so far in his rookie WHL season including four goals, good for a tie for 8th among all first-year players. 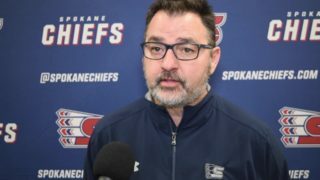 The Chiefs remain on the road Tuesday to take on the Seattle Thunderbirds in Kent, Wash. Mike Boyle will have the radio call on 1510 KGA, beginning with the pre-game show at 6:30 p.m. and puck drop at 7:05. 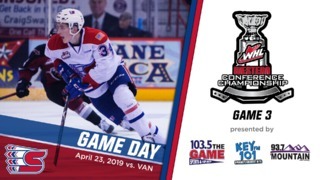 Spokane returns home on Friday, November 16 for Coeur d’Alene Casino BINGO Night as they host the Seattle Thunderbirds. 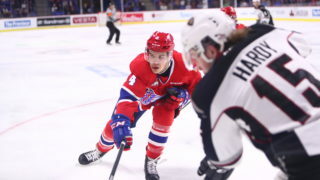 Tickets for Nov. 16 and all Chiefs home games are available online here, over the phone at 509-535-PUCK in-person at the Chiefs’ Ticket Office at Spokane Arena.